The wheel of a bike rotates exactly 3 times in 12.2 seconds. 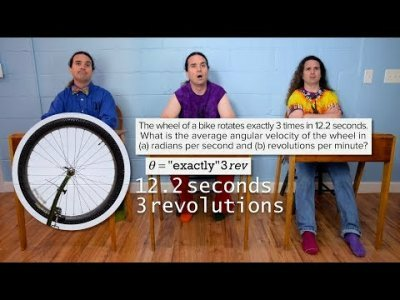 What is the average angular velocity of the wheel in (a) radians per second and (b) revolutions per minute? 3:24 Three common mistakes made by students when doing this conversion.